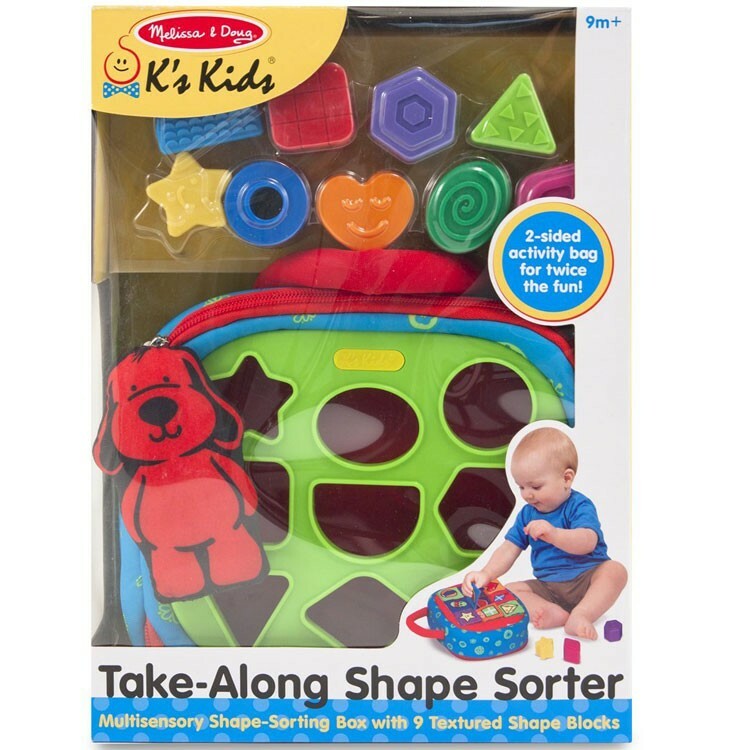 Manipulative and sorting fun is guaranteed for your baby or toddler at home or on the go with this terrific quality K's Kids Take Along Shape Sorter. 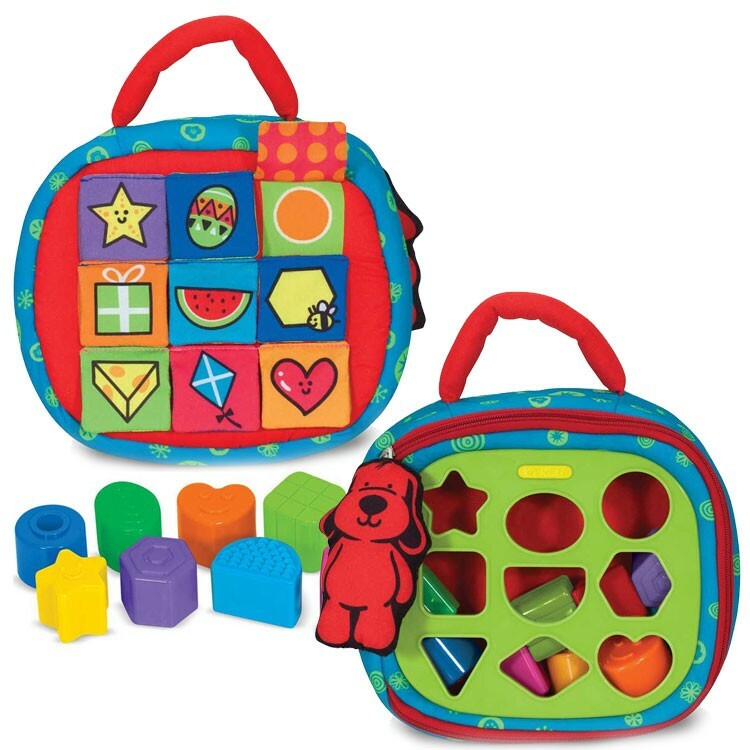 Now you can offer your baby or toddler some shape sorting fun on the go! 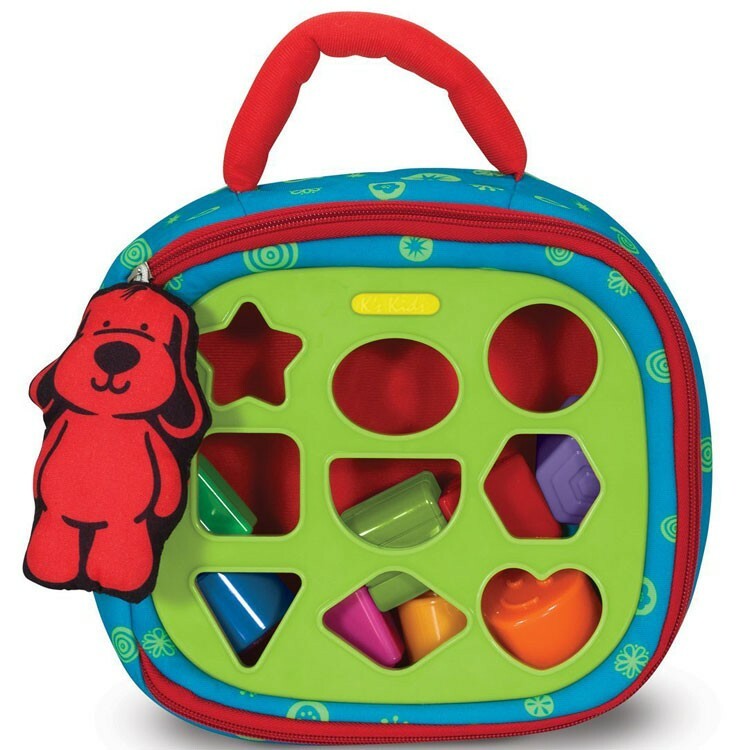 The Take Along Shape Sorter Manipulative Baby Toy by K's Kids brings 10 pieces neatly packed in a soft travel case with carry-along handle. 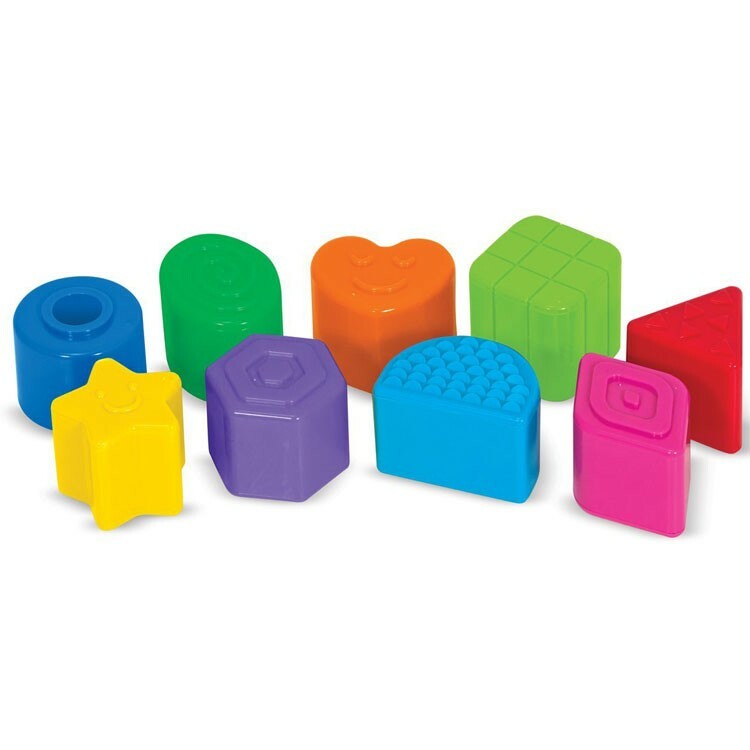 Match the colorful blocks with the shape shown on the crinkly flaps. 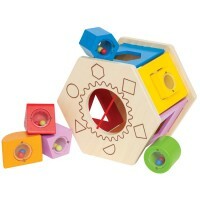 Lift the flaps and sort the shape pieces. 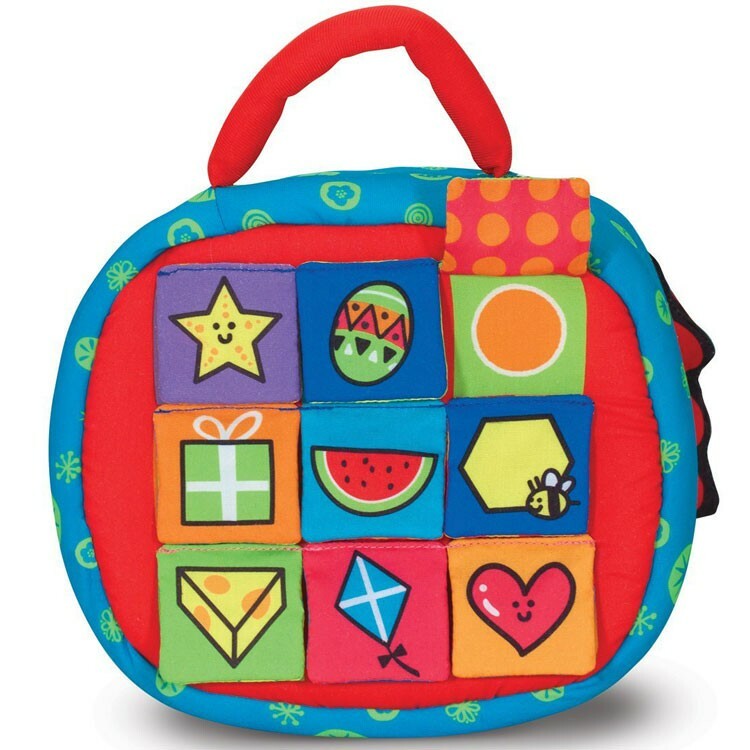 Or take the top cover to ease the shape sorting for your baby. 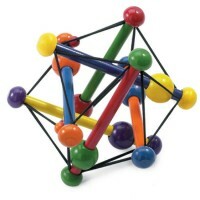 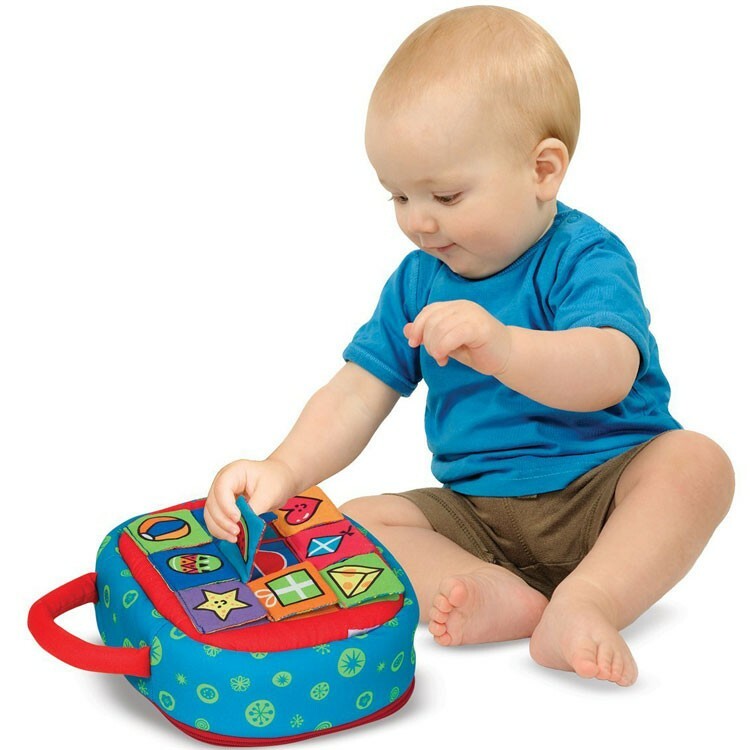 This sorting manipulative activity toy from Educational Toys Planet is an entertaining light-weight baby companion that develops dexterity and thinking skills. 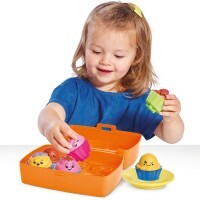 Take Along Shape Sorter Manipulative Baby Toy includes 9 different colors sorting pieces that fit into self-correcting shape sorter. 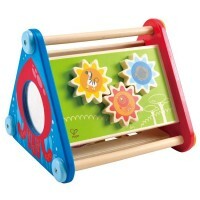 This baby shape sorter will provide fun activity when you go on a plane, visit baby's grandparents, or just play in your baby playroom. 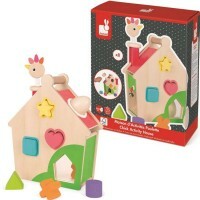 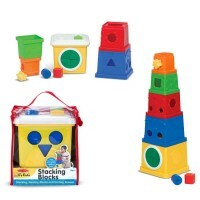 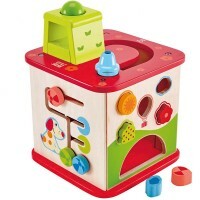 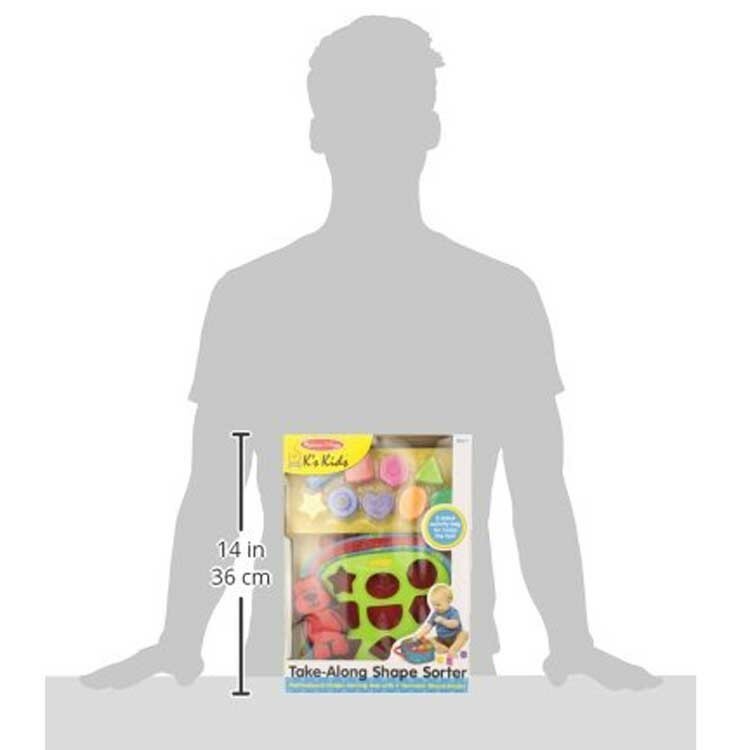 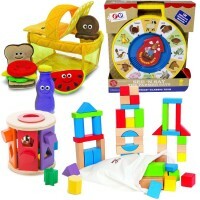 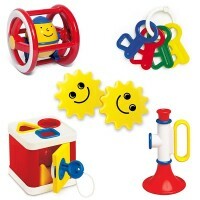 Write your own review of Take Along Shape Sorter Manipulative Baby Toy.